I was thinking about Google searches. 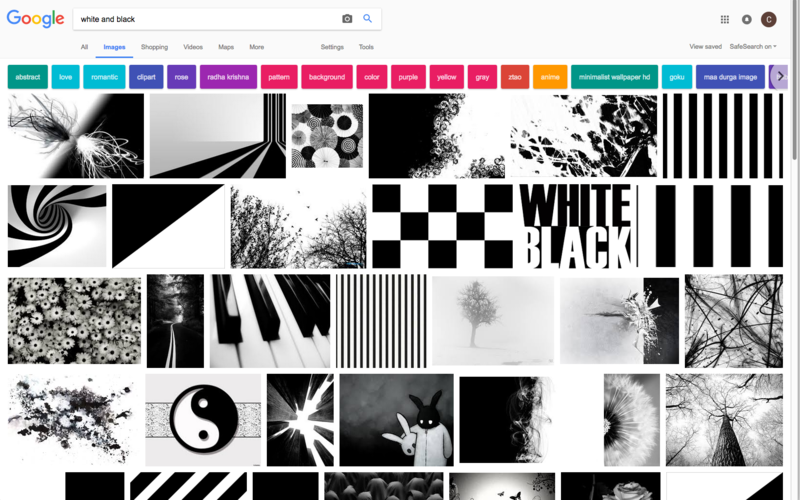 I searched for “Black and White” and “White and Black.” Look at the different suggestions? filters? that Google adds to the search bar. 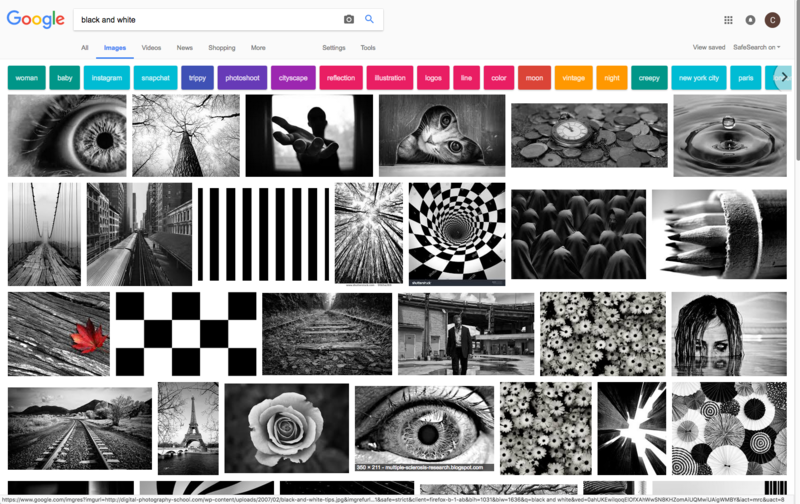 There was some overlap in the images, though.